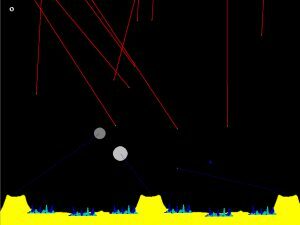 A free online clone of the classic Missile Command game. One of my favourite arcade games as a kid even though I was utterly hopeless at it and just used to spam all the missile fire keys. If you enjoy playing this Missile Command online game then please leave a comment and try out one of the other games on the site. Previous post Asteroids Game – Free Online Arcade Game Next post Lake Snake Game Online – Play Here!